I'm an avid fan of prints and this season has been an incredible one in terms of all the prints that have made their way into stores over the past couple of months. The inclusion of leopard print has been one of my all time favourites! Not to mention some of the recurring favourites which make a reappearance every season without fail like stripes. So I paired two of my favourite prints together starting with a striped roll neck top; and although I bought it a few years ago it clearly hasn't gone out of style as it's still available to buy in stores now! 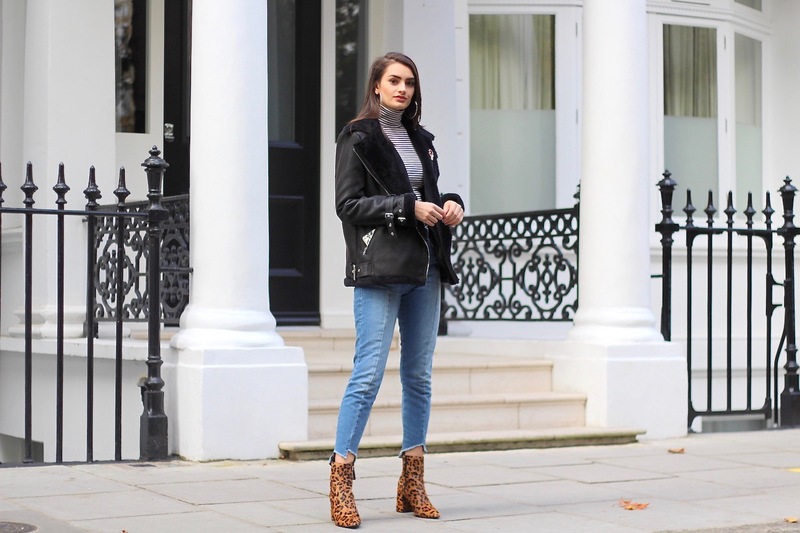 With my favourite purchase of the year (I know, big statement to make) these leopard print booties from Topshop - at £72 they are on the pricey side in my opinion but they make the perfect statement so I just can't get enough of them! If you're not confident on clashing prints, or even with prints in general, then do like I did and pair one or two different printed pieces with the basic pieces you already have in your wardrobe. 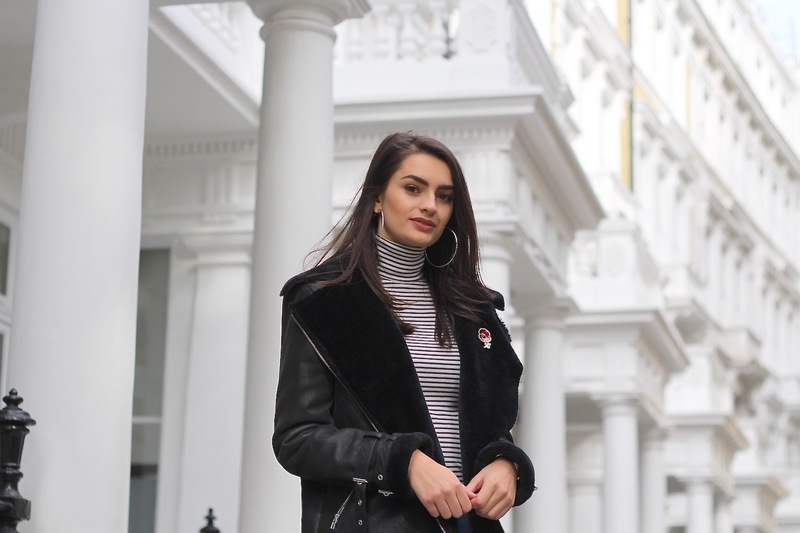 Starting with a pair of cut hem jeans, mine are a current on-trend style from Missguided. I also picked out my aviator jacket which again, I got last year, but have brought it out again for A/W this year. 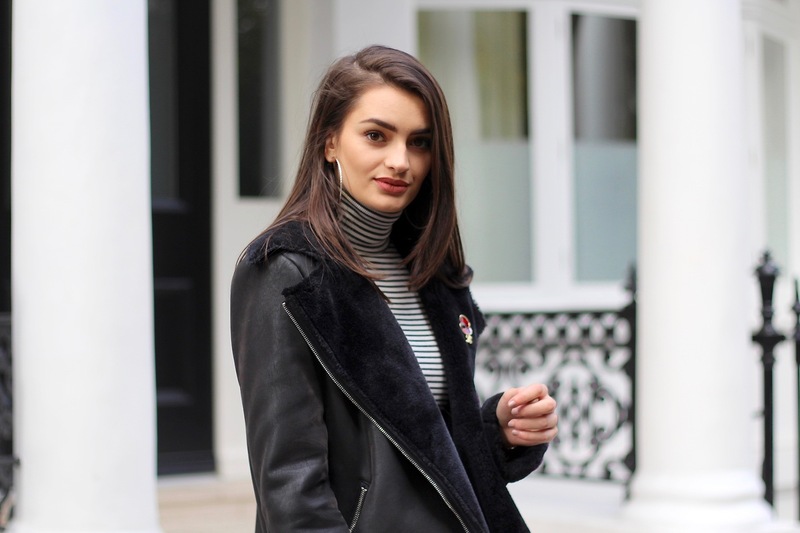 It's getting so much colder as the days go by so bringing out all my winter coats has been top of my list! You'll be seeing so many more coats and jackets over the next few months I'm sure.